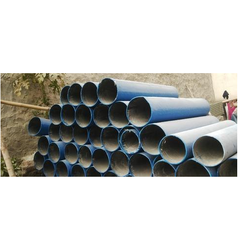 Providing you the best range of pp frp ducting with effective & timely delivery. The PP FRP Ducting will be fabricated out of PP Sheets & the same will be externally coated with FRP using Isopthalic grade resin (Suitable for Highly Corrosive atmosphere) along with 450Gm/cc Chopped strande mate. , These ducts offer long service life and effective functioning.PP FRP Ducting are appreciated for features such as corrosion resistant, long lasting, leak proof and low maintenance. these are available in different shapes and sizes as per the requirements of clients.